Uncut 2003 Butterick Plus Size Sewing Pattern # 4026. Misses sizes 18 - 20 - 22. 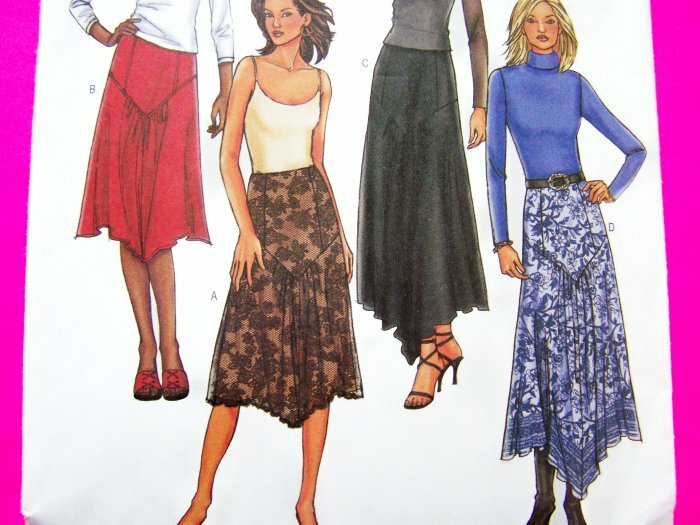 Lined skirts that are loose fitting, slightly flared or flared, below mid knee or above ankle at sides, contour waist and side zipper. More vintage and new sewing patterns for misses, jrs and women listed and more coming..
** Uncut, factory folded, complete with instructions. Envelope a little bent. I have more new and uncut womens and misses vintage patterns listed and more coming, Check out my other items! Measurements: W 32" - 37". H 42" - 46". S & H to the USA is $2.25. **International: Paypal only. Please ask for your countries shipping price.